Susan is Doctor of Acupuncture and Chinese Medicine, a graduate of the Pacific College of Oriental Medicine in San Diego, California. Susan holds a Master's in Acupuncture and Oriental Medicine from Santa Barbara College of Oriental Medicine in California. She is nationally certified in Chinese Herbology. Susan's company, CuriousOwlPDA, is a continuing education provider for the National Certification Commission on Acupuncture and Oriental Medicine, offering approved distance learning courses t0 acupuncturists nationwide. She is the founder of the QiMovers networking group. She has advanced training in infertility, cosmetic acupuncture, fibromyalgia and chronic fatigue, several styles of qigong, acupuncture in hospice situations, Richard Tan's and Master Tung's methods, and Koryo hand therapy. Susan is a Usui Shiki Ryoho Reiki Master. 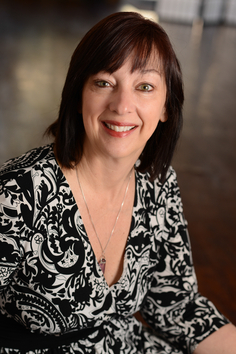 Susan is also a certified personal trainer and weight management specialist with the NCCPT. Susan uses this knowledge to advise you on ways to improve health-related physical fitness and performance, manage health risks, and promote lasting, healthy behavioral changes. Susan’s first career was as a respiratory therapist in hospitals throughout the USA, including prominent teaching facilities as well as small communities. She is recognized by the NBRC as a Neonatal/Pediatric Specialist and is quite comfortable working with babies and children. She is familiar with the standard medical treatments and medications and will work with your doctor to optimize your care. Her special interest is reproductive issues including infertility, pregnancy and childbirth. She works closely with many couples who wish to enhance fertility naturally or who are undergoing assisted reproductive techniques. She works in cooperation with both the Fertility Center and Tennessee Reproductive Medicine in Chattanooga, as well as local midwives and doulas. Susan has published articles in local health publications, and offered many seminars to teach acupressure and qi gong exercises for pain and wellness. She has taught other practitioners and the general public at the Chattanooga Health Education Organization about acupuncture’s uses in reproductive issues and psychiatric disorders, and appeared on the local program 3 Plus You on WRCB-TV.